Here are a few photos from our trip to the 2014 Microcar show. Matilda gets strapped into her trailer for the trek to Tacoma. At Point Robinson on Vashon Island. Matilda had a little one-on-one time with the lighthouse. In line for the Vashon Island ferry back to Tacoma. In the Honda section at the 2014 Microcar Show. We had some great company! 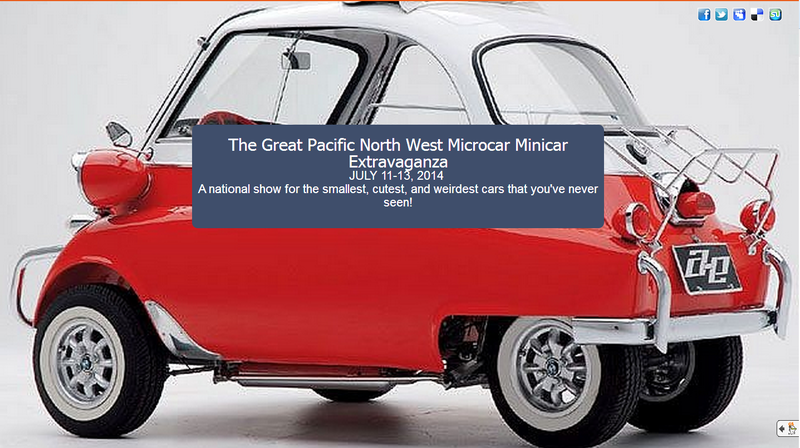 Great Pacific Northwest Microcar Minicar Extravaganza! We weren't planning on attending until Matilda got personally invited to the event by its organizer. With over 80 microcars, a ferry ride to Vashon Island and coverage by the BBC and Hemmings, this is going to be amazing! My Little Matilda is the ongoing chronicle of the restoration of a tiny 1971 Honda n600 by a Corvallis, Oregon couple.